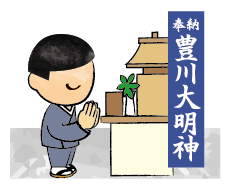 Kawarake-wari originated from the custom of warding off evil and bad luck. In the olden days, people regarded kawarake as a doll with its own bad luck and believed smashing it would expel the evil. 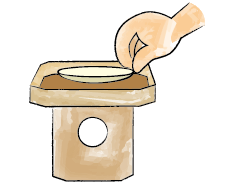 If you wish to start a good relationship, put the fragments of the kawarake on the Sanpo (small wooden stand). 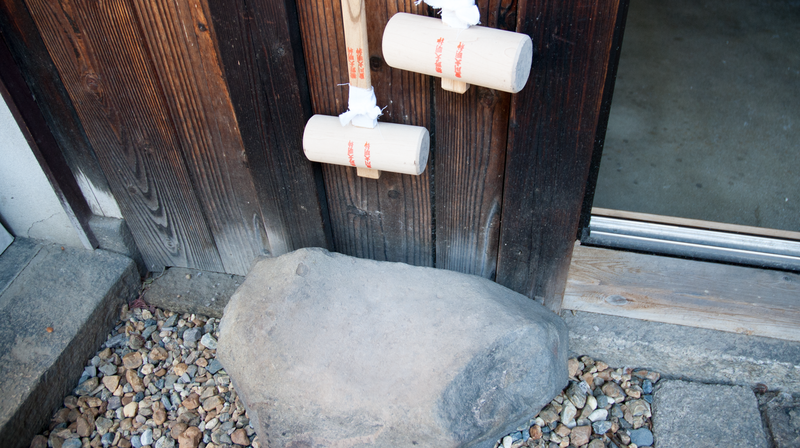 If you wish to end relationship, Smash the kawarake using a nearby stone to expel bad luck. 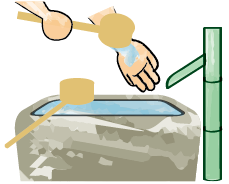 1.Wash your hands at the purifying water pavilion. 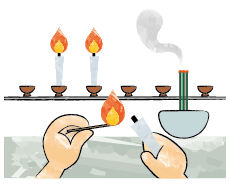 2.Light the candle and incense sticks you bought at the reception counter. 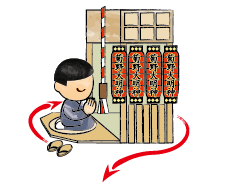 3.Worship Kikuno Daimyoujin and move clockwise. 4.Write your wish on kawarake. 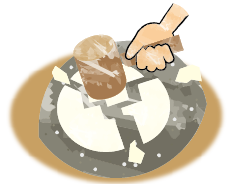 5-1.If you wish to start a good relationship, put the fragments of the kawarake on the Sanpo (small wooden stand). 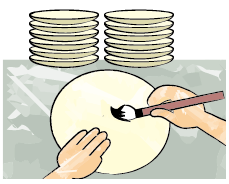 5-2.If you wish to end relationship, Smash the kawarake using a nearby stone to expel bad luck.